when finishing up a string, don’t trim it so close to the project. They tend to pop out over time. just keep going, one floss at a time. 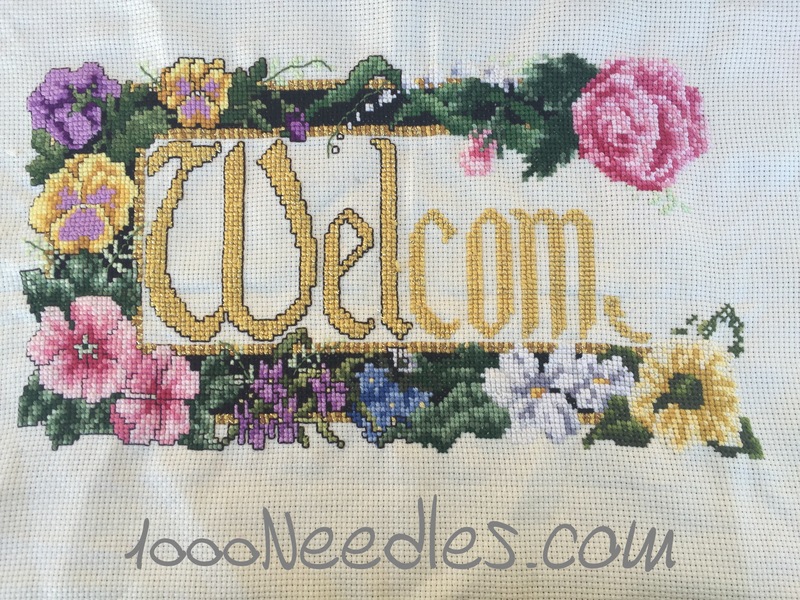 I finished the embroidering the details on the left side and the letter “E” in Welcome. 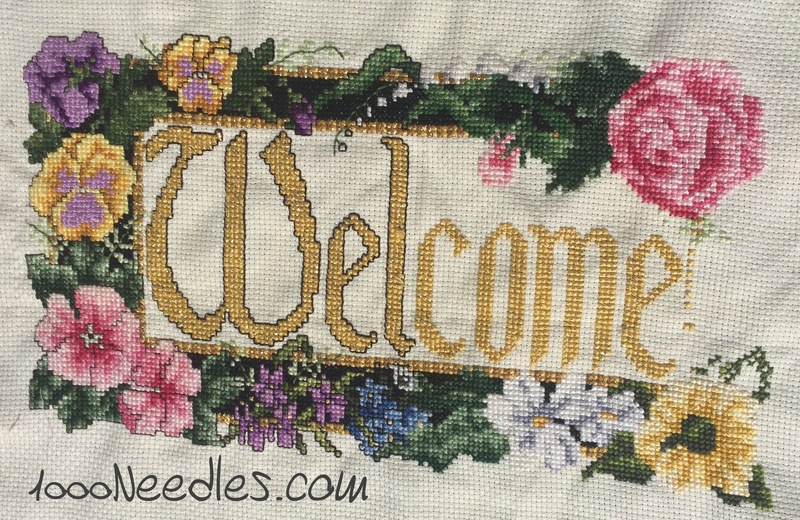 Next step is to get the right border completed and work on the details of the right side. My favorite framer always preferred the floss be run under, and then at least a half-inch tail be left. That way he could really pull during blocking and shaping and not have to worry about ends pulling out, and he’d trim them down after. I do that normally now; it’s habitual for me to hold any ends out of the way if I need to as I do the next few stitches, or stitch the tail down if I’m continuing with the same color. It doesn’t look like you are that far from finishing. Go, Melanie!